As early as late 2017, MaxDefense Philippines has been posting about this upcoming project, and now it has finally finalized and formalized. Another milestone has been reached by the Philippines' Department of National Defense (DND), as MaxDefense sources confirmed that the DND just recently signed a contract with Israel's Elbit Systems Land and C4I (Elbit) to implement the Philippine Army's M113 Armored Mortar Carrier acquisition project. This project is part of the Horizon 2 phase of the Revised AFP Modernization Program, which is the phase covering the years 2018 to 2022. Based on our records, this project appears to be the first Horizon 2 phase project of the Philippine Army (PA) that reached the contract signing stage, since almost all other projects of the PA are only in the negotiation stage at best, while other are not yet even in the pre-procurement phase. The Philippine Army ordered 15 Soltam Cardom 120mm Recoil Mortar System, installed on refurbished M113A2 tracked armored vehicles from Elbit Systems Land and C4I of Israel. Credits to the original source of the photo. The Approved Budget for Contract (ABC) approved for the DND and allocated to the Philippine Army for the project as approved as part of the Horizon 2 phase is Php1,094,570,175.00. As of the contract signing, this is equivalent to around US$21 million. The project is a Government-to-Government (G2G) deal between the Philippines and Israel, with the DND's ad-hoc committee approving the procurement mode in July 2018, and with Israel supporting Elbit Systems Land & C4I as the preferred contractor. Since it is a G2G deal, it is expected that the overall cost of the project is almost equal, or equal to the ABC, as the deal was negotiated based on that amount, without looking too much on the Philippine pesos' exchange rate. This deal goes to show the strong commitment between the Philippines and Israel to further strengthen its defense relations, as Israel is already among the biggest market for defense and security related products for the Philippine government in the past 5 years. This project was already in the pipeline for a few years, and was originally proposed for implementation as part of the Philippine Army's 2018 Priority Projects as part of plans to equip the planned Brigade Combat Teams. Although MaxDefense doesn't have the exact dates, it appears that the Senior Leaders of the AFP approved this project only in early 2018. It is also surprising that this project was able to finalize into a contract before other Philippine Army projects that were in considered priority even before Horizon 2 started in January 2018. As part of the contract, Elbit System will supply 15 Armoured Mortar Carriers to the Philippine Army's Mechanised Infantry Division. The main project is Elbit's Soltam Cardom 120mm vehicle-mounted Recoil Mortar System, which is also known in Israel as the Soltam Keshet. The Cardom is available in both 81mm and 120mm variant, and is fully computerized, autonomous, and was designed to be mounted on light or medium armoured vehicles like the M113. Take note that the Philippine Army also has an upcoming delivery of 5 Soltam Cardom 81mm RMS for installation of their existing M113A2 tracked armored vehicles. The 120mm Cardom has a range of 7,000 meters, has a maximum rate of fire of 16 rounds per minute, and can be used in "shoot and scoot" manner to have the element of surprise and avoid enemy counter fire. It can be operated by only 2 crewmen, although it is said to be easier with a 4-man crew. 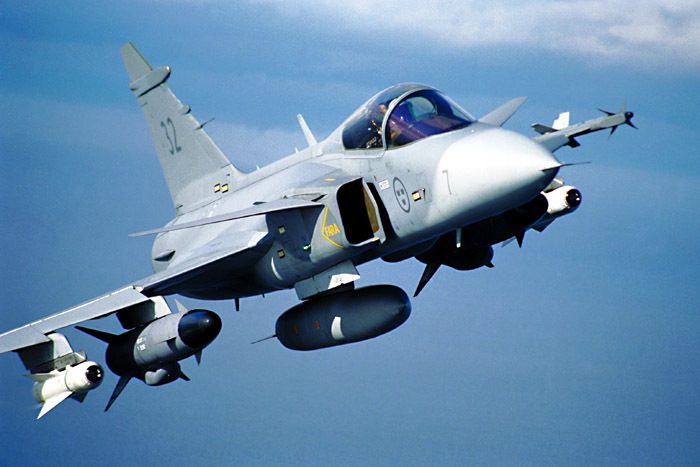 It can use a variety of ammunition of 120mm NATO standard, and is in operation with the Israel Defense Force, US Army, and several other countries. 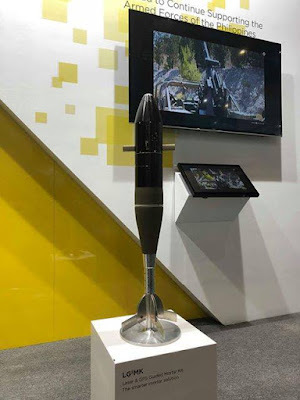 The Soltam Cardom 120mm recoil mortar system, as displayed during the ADAS 2018 defense exhibition in Manila last September 2018. Photo credited to a MaxDefense commuunity member who wish to remain anonymous. Compared to the US Army's M113-based M1064 mortar carrier and the Styker-based model called the M1129, the upcoming Philippine models with be using the computer-controlled Cardom instead of the manually-operated M120/RMS6L 120mm mortar (which is also based on Soltam's K6 120mm infantry mortar). This allows for faster operations and less stress on the mortar crew due to automation. Another part of the deal is the platform where the Cardom mortars will be installed. 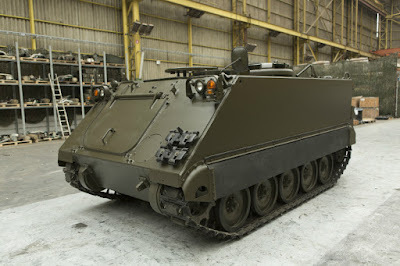 Elbit Systems will also deliver 15 refurbished and upgraded M113A2 tracked armored vehicles. No mention was made on where the vehicles would be sourced, but MaxDefense believes that it would be from Israel. Elbit owns the Belgian armored vehicle maintenance company and reseller Sabiex, and already supplied refurbished and upgraded low-mileage M113A2 armored vehicles to Elbit Systems for export to the Philippines. But it appears that Belgium's strict arms export control to the Philippines is still in effect due to their concerns on Pres. Rodrigo Duterte's administration being involved in state-sponsored extra judicial killings and human rights violations. Thus it is unlikely that they will again be the source of M113s supplied by Elbit. Being armored mortar carriers, the M113s to receive the Cardom mortars will have a wide roof opening to allow the safe and effective use of the mortar system. The Philippine Army is expected to not have any trouble accepting the M113s as it is already a long time user of the type. An upgraded M113 tracked armored personnel carrier from Sabiex of Belgium. Apparently this specific vehicle was among those delivered by Elbit Systems to the Philippine Army in an earlier contract. 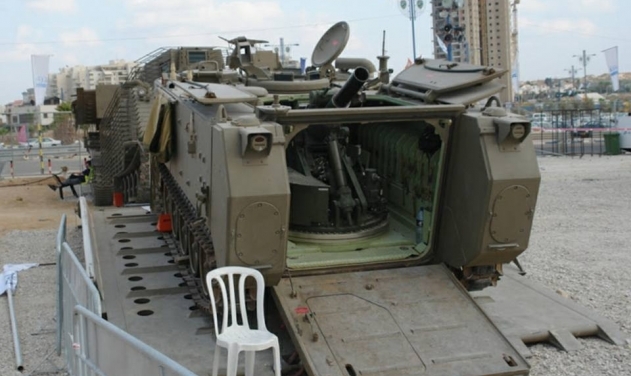 Elbit Systems is once again supplying 15 refurbished M113A2 tracked armored vehicles as the platform for the Soltam Cardom 120mm RMS. Photo taken from Sabiex's website. Another part of the deal is the inclusion of the Elbit Systems Combat NG Battlefield Management System, which is already in use with the Philippine Army. The Combat NG is a command, control, communications and intelligence (C3I) system designed to improve artillery and air defense unit's ability to engage targets by improving its target engagement speed and accuracy, provide up to date and real time situational awareness, and provide coordination capability with other forces. Elbit's Combat NG system utilized together with the a self-propelled mortar system. Elbit's contract with the Philippines is to combine the Combat NG with the Soltam Cardom 120mm RMS units to enhance their C3I capability. Photo taken from Elbit's website. 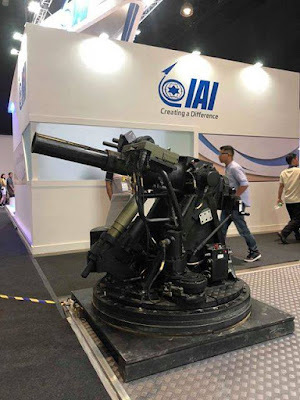 And lastly, and this was unexpected, is that Elbit Systems will also provide conversion 120mm barrels for the 5 earlier Soltam Cardom 81mm autonomous recoil mortar systems the Philippine Army ordered in January 2018. As mentioned earlier, the 5 units of Soltam Cardom 81mm mortars are part of the Philippine Army's M113 Firepower Upgrade project that also includes the supply of 44 remote controlled weapon systems (RCWS) for the Philippine Army's fleet of M113A2 armored vehicles and are scheduled to be delivered this year (MaxDefense will discuss this again in a separate blog entry). This would allow the Philippine Army to standardize its entire self-propelled artillery fleet to the 120mm NATO standard, and increasing the firepower of the upcoming mortars due to the 120mm mortar's longer range and heavier warhead. It is still a question though if the Philippine Army will make use of Elbit's LG2MK 120mm smart mortar round, which was featured by Elbit Systems in last year's ADAS 2018 defense expo in Manila. This allows the Cardom mortar system to fire precision munitions and obtain a first shot hit, which improves accuracy and sure kill hit, reduces collateral damage, munition wastage, and u necessary firepower when required. The munition also works well with the Combat NG system as well as other artillery spotting systems of the Philippine Army. The LG2MK smart 120mm mortar munition from Elbit Systems. While acquisition of the said mortar round type is not included in the Philippine Army's acquisition of Soltam Cardom 120mm mortars, it remains to be seen if the PA will acquire them separately for its requirements in the future. It is highly probable that the PA would obtain a few for testing and evaluation purposes. Photo taken by a MaxDefense community member who wish to remain anonymous. These new M113-based 120mm Self Propelled Mortars (SPM) are expected to be operated by the Philippine Army's Mechanized Infanry Division, which can actually form up to 5 platoons or sections of 4 SPM firing units each. At least most of the MID's Mechanized Infantry Divisions would have an SPM platoon once deliveries are completed. MaxDefense believes that priority would be made to provide at least 1 platoon to be attached with the new 6th Mechanized Infantry "Salaknib" Battalion, which is the attached Mechanized unit to the newly formed 1st Brigade Combat Team. The introduction of the Soltam Cardom mortar system allows Mechanized units to have its own quick-moving short range artillery support anytime without relying on heavy artillery howitzers. This is in addition to the 81mm and 60mm infantry mortars assigned to mechanized infantry units. In other foreign armies, 120mm mortar with smart and standard munitions actually replaced the 105mm towed howitzer, like in the case of the Singapore Army. 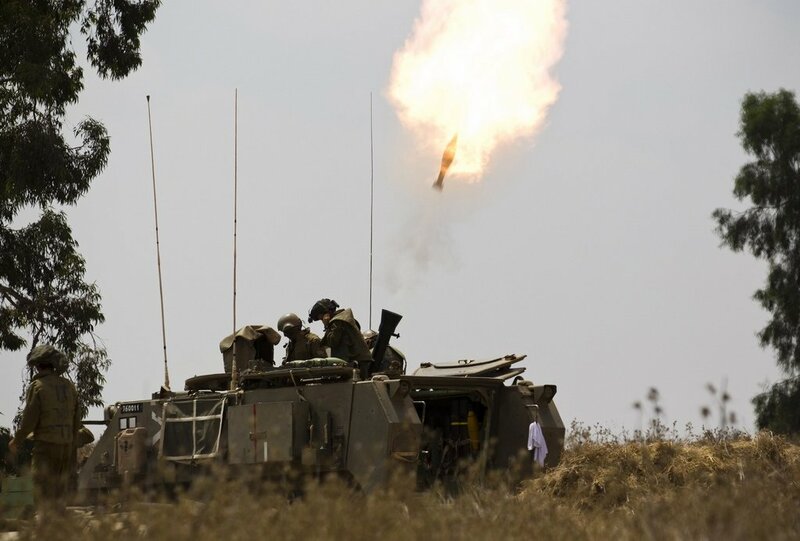 The Cardom 120mm (aka Keshet) in action with the Israel Defense Forces. With the contract already signed, it is now a matter of time before the Opening of the Letter of Credit (LOC) takes place, which is the actual go-signal for Elbit Systems to proceed with the contracted job as it confirms financial backing and guarantees by legitimate financial institutions. And while no date was provided to MaxDefense, based on our monitoring of AFP projects and contracts made, MaxDefense's opinion is that deliveries may be completed by 3rd quarter of 2020, or even earlier. And like the M113 Firepower Upgrade, MaxDefense believes that the Mechanized Infantry Division may have a share of work on installing the mortar systems to the M113 platform, which allows them to understand how the process works and improve their skills especially in doing maintenance work. Expect more of this project in the near future, as MaxDefense would definitely get updates from our sources as this progresses forward. 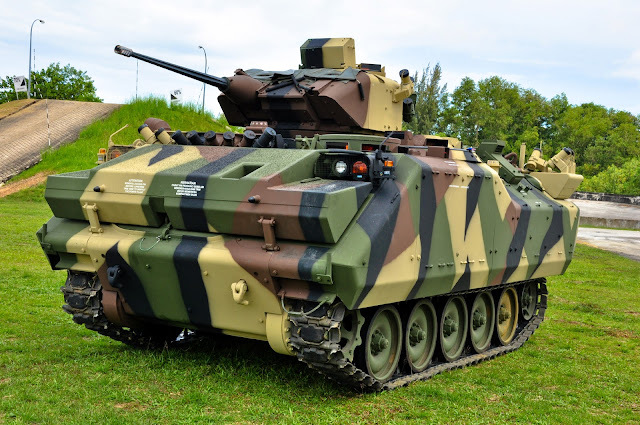 Congratulations to the Philippine Army's Technical Working Group on the M113 Armored Mortar Carrier acquisition project, the PA's MID and PA leadership for successfully reaching this milestone. Contract Price: none yet, to be updated. Sir, any update on used korean mrls for Phl? Why not entice Israel to open shop here also with that in mind ask to locally produce it's own ammo especially the guided ones. PA has a great opportunity to upgrade and modernise dont mess it. Congratulations and Mabuhay to our Armed Forces. all blogs are personal viewpoints of the author.. Powered by Blogger. A former naval officer of the Philippine Navy, initially a reservist before becoming an active officer, opted to retire early and migrate to another country. Aside from being in the service, he has been following Philippine and regional defence issues, as well as military technology and industrial movements, and developments in regional military upgrades since the mid 1990s. He has been involved in other defence sites & minor publications for the past several years, and a regular at regional defence exhibitions & symposiums. Currently works as a systems consultant for a foreign military organisation. As a defence writer, he has no political affiliation, and would not hesitate to criticise any political leader, organisation, or political part when issues on defence and security of the Philippines are believed to be in peril.